I HIGHLY recommend Amir Sattar. Very professional and honest. He got me right into the car I wanted. I left satisfied. Services are GREAT. You will not be disappointed. 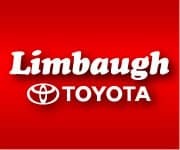 I bought a new Camry from Limbaugh Toyota and have great buying experience. I was helped by Bailey and overall very good experience.